During her Thursday, April 4, 2019, appearance on The View, Smollett's longtime co-star and on-screen mother Taraji P. Henson shared new insight into his potential role in the hit Fox series' expected sixth season. "Yes," Henson simply said in response to talk show panelist Joy Behar when asked whether Smollett would indeed be back on the show. "I haven't heard anything else." That's undoubtedly promising news for those fans who've remained #TeamSmollett over the last few months. The Hidden Figures star also gave a general update on how the Empire sphere has been holding up in the fallout of Smollett's headline-making scandal. "I talk to Jussie all the time, and he's doing well," Henson said. "We're all doing well, the show is doing well, we're on hiatus right now. The writers are trying to figure out what the next season is gonna look like, what our story line is gonna be." She added, "They're trying to drum up some really good, juicy stuff for you guys, so that's where we are right now." As Nicki Swift previously reported, the 36-year-old actor-singer had claimed to be the victim of a racist and anti-gay hate crime in the Windy City in late January of this year. 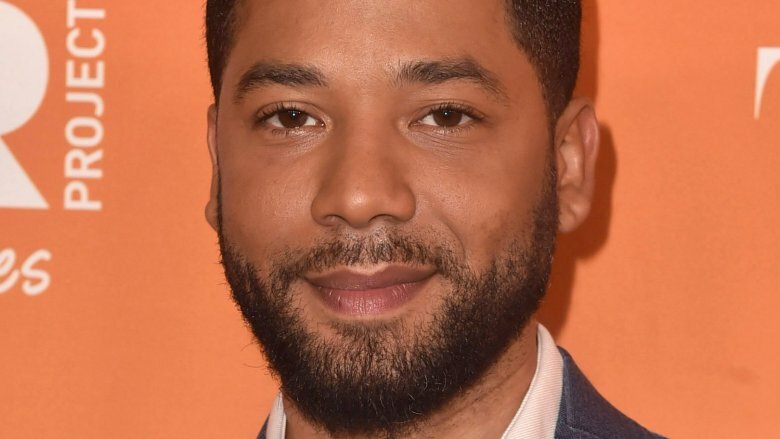 While he was later arrested and accused of orchestrating the incident, Smollett pleaded not guilty in mid-March (via Deadline). The TV star expressed gratitude for his supporters when his case was dismissed weeks later, according to CNBC. "I've been truthful and consistent on every level since day one," he said in part during a press conference at the time, but added, "This has been an incredibly difficult time, honestly, one of the worst in my entire life." After being booted from the last two episodes of Empire's fifth season, Smollett's future as Jamal Lyon on the show has remained in question. The network will have until May — when Fox's upfronts take place — to officially order season six, The Hollywood Reporter reports. Meanwhile, contract negotiations between Smollett, the network, and the executive producers are up in June. Basically, it's crunch time in the world of Empire. According to a source cited by the media outlet this week, "I'm sure [the show's EPs are] scouring ratings and online feedback. What I've heard is that fans and viewers like him, they want him, they want his character in the show." However, CEO and co-founder of EKC PR Eileen Koch said, "If I'm Fox, it's going to be hard. [If they don't bring him back,] the people who love Jussie will hate Fox, and those who don't like him will love Fox." 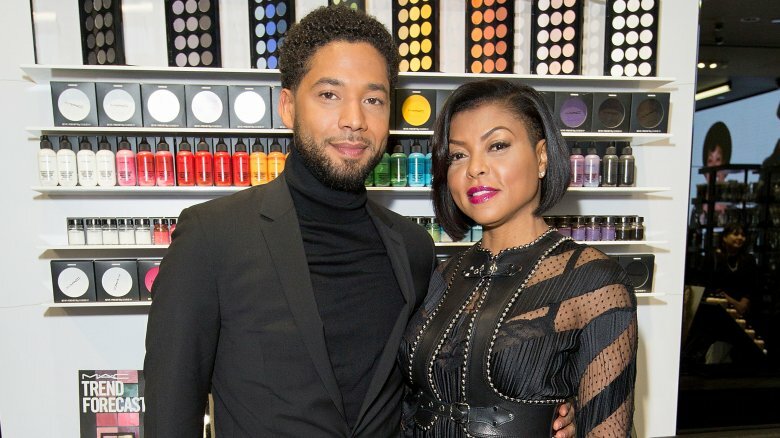 For her part, Henson spoke with USA Today last week after Smollett's charges were unexpectedly dropped, saying, "I'm happy that the truth has finally been set free, because I knew it all along. We're all happy for him, and thank God the truth prevailed." The 48-year-old actress went on to say, "I know him and I know his track record. I'm not going to jump on clickbait just because someone says something derogatory about a person I know and love. I'm not easily swayed like that … I know the type of activism this young man does in his community, I know that he's a giver — he's not an attention-seeker." 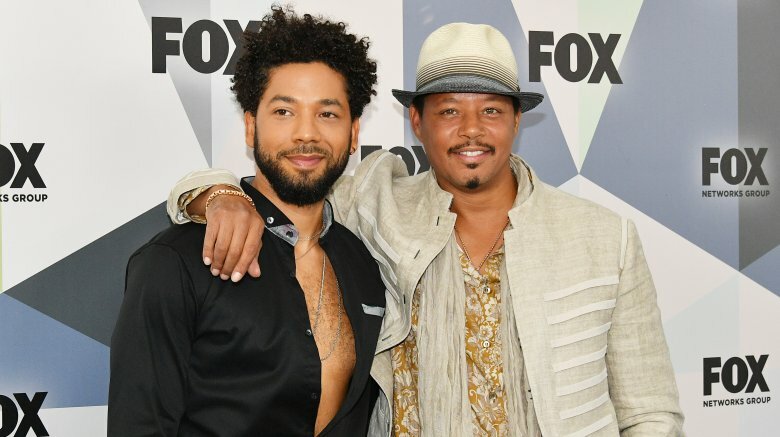 Despite the fact that he reportedly didn't fully believe Smollett's story at first, TV dad Terrence Howard has also publicly had his back. The 50-year-old industry vet previously echoed Henson's sentiments on social media (via CNN). Meanwhile, Twentieth Century Fox Television and Fox Entertainment had this to say in a statement last week, according to TMZ: "Jussie Smollett has always maintained his innocence and we are gratified on his behalf that all charges against him have been dismissed." With his career prospects with Empire still in limbo and his felony charges behind him, it looks like Jussie Smollett isn't quite out of the woods when it comes to his legal woes in Chicago. 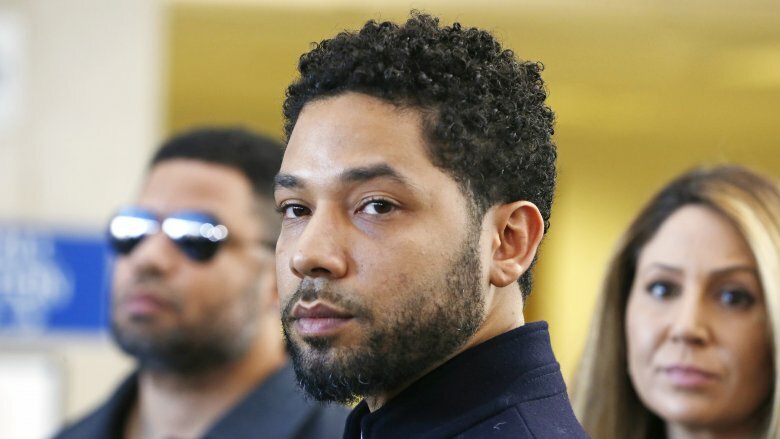 After Mayor Rahm Emanuel and Chicago PD Superintendent Eddie Johnson stated their belief that Smollett is guilty of committing the alleged hoax (via Fox News), the actor received a $130,000 bill to repay the city for expenses used during the police department's investigation into his alleged attack, Deadline reports. And now, the city of Chicago reportedly plans to sue the TV star for the funds. According to a city spokesperson, "Mr. Smollett has refused to reimburse the City of Chicago for the cost of police overtime spent investigating his false police report on January 29, 2019." The spokesperson continued, "The Law Department is now drafting a civil complaint that will be filed in the Circuit Court of Cook County. Once it is filed, the Law Department will send a courtesy copy of the complaint to Mr. Smollett's L.A. based legal team."